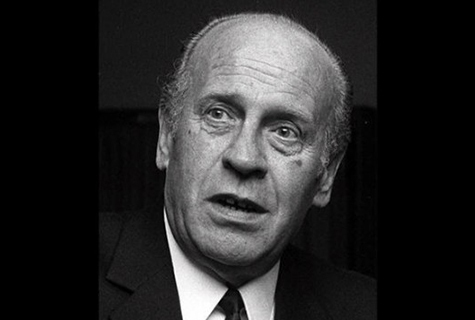 This day, October 9th, marks the 44th anniversary of the death of Oskar Schindler, a singular and unlikely rescuer who was immortalized by Steven Spielberg’s legendary movie – “Schindler’s List“. A German industrialist and member of the Nazi Party, Schindler was responsible for the saving of some 1,200 Jews during the Shoah, by employing them in his weapons and enamelware factories in Nazi-occupied Poland and the Protectorate of Bohemia and Moravia. In 1936, aged 28, Schindler joined the ranks of the Nazi intelligence service, the Abwehr. His task entailed gathering information on enemy troop movements in Czechoslovakia and Poland. In 1938, he enlisted in the Nazi Party and one year later, he purchased an enamelware factory in Poland, with a majority of Jewish workers. 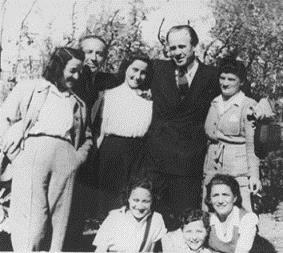 As time went by, Schindler used his Abwehr connections to try and protect his Jewish workers from deportation and ultimate death. He lured his Nazi contacts threw lavish parties and expensive bribes and gifts. By the summer of 1944, when it was clear that Germany was losing the war, the SS gave orders to shut down the eastern concentration camps, deporting the remaining prisoners to the death camps located in Central Europe. Schindler persuaded Amon Goth, the infamous commandant of the Krakow concentration camp, to allow him to move his factory to the Sudetenland, thus saving his workers from certain death. Using names conveyed to him by the Jewish Ghetto Polis, he compiled a list of 1,200 Jews who travelled to the Sudetenland by the end of 1944. By the end of the War, Schindler managed to save his workers and remained penniless after spending his fortune in bribes. After the war, he spent some years in Argentina, together with his wife Emilie and eventually, after leaving her in Argentina, he moved to West Germany in 1958 and died there in 1974, at the age of 66, and was buried at Mount Zion in Jerusalem. Both Oskar and Emilie Schindler were recognized as Righteous among the Nations in 1993. 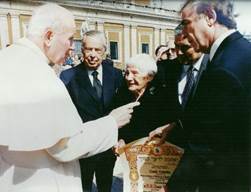 The International Raoul Wallenberg Foundation helped Emilie in her last years and organized a number of events which led to her worldwide recognition, including an audience with Pope John Paul II, in 1995.